With the Linhof M 679cc camera, interchangeable backs offer you the choice of a variety of formats. 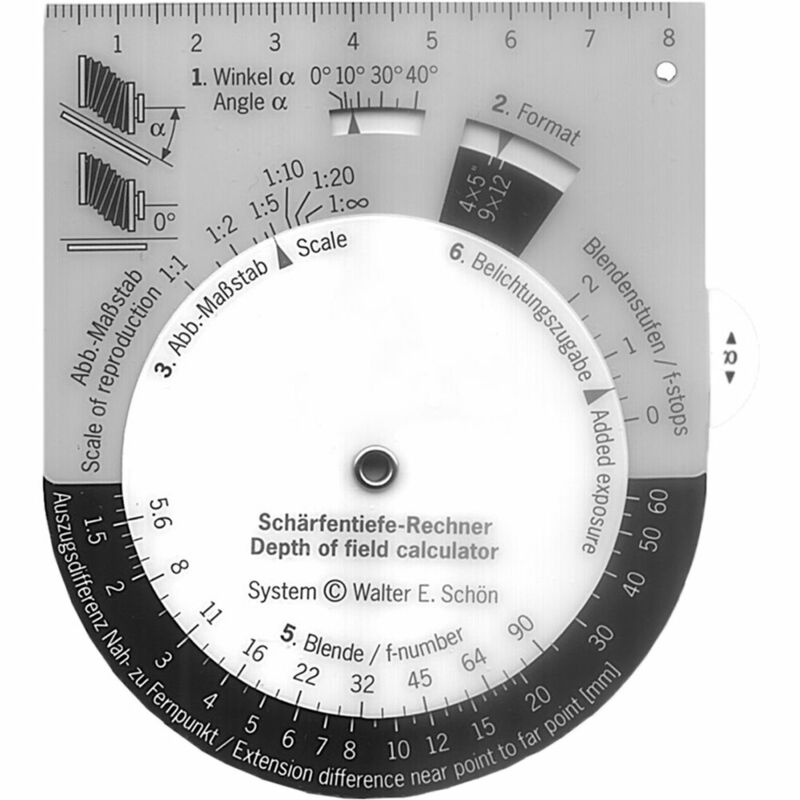 The Linhof M 679cc Depth of Field Calculator for 6x9 Format assists you in choosing the correct f-stop for the depth of field (DOF) that you want when using a 6x9 format film back. This interchangeable calculator attaches to the base holding the rails and front and back standards, making it easy to optimize DOF. Other DOF calculators are available separately for 6x6, 6x7, and 6x8 formats.